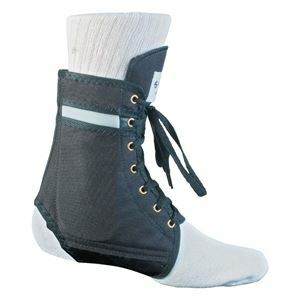 Stromgren Anchor Lace Up Ankle brace by Anatech is designed to give support to ankle. Perfect for sports or any high level activity. Its triple layered construction provides superior support and durability. Comes with plastic inserts for added protection. Bilateral design supports ankle muscles, joints and ligaments. Fits easily in any shoe.